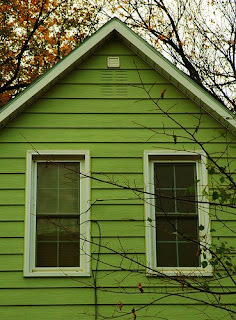 Northwest Austin Real Estate - buy - sell - invest: Who will pay for older Austin homes to go green? "We want the citizens of Austin to realize that the City of Austin is trying to mandate what they have to do to their homes in order to sell their homes," Socar Chatmon-Thompson, of the Board of Realtors, said. "You could be forced to retro fit your house with expensive upgrades before you can sell it." This has been a buzz in the central Austin housing market the last couple of weeks. There have not been enough decisions made for people to oppose or agree with legislation that might be propossed in the future. The basic idea is that older homes would have to be updated with more modern electrical and gas systems that would make the homes more energy efficient. This will cost buyers and sellers more money in the long run. If a home seller needs to do a bunch of work to bring their home up to code in order to sell, the cost will be passed on to the buyer one way or the other. It also makes for a longer sales process. It will be interesting to see how this develops. I like making choices to make my own home more efficient but by making it mandatory for the sale of an older home is going to cause problems for those people who need to move and can't afford to make the changes to their home in order to sell it. I will post an update when the story develops more. Wow dude, this stuff is really detailed! Nice work! Are you running GOOG analytics? Ive been trying to update frequently and keep it relevant. Ive been watching my blogs and sites on Analytics...that part is pretty addictive.